This post is the second part of the Checklick Annual CANSail Instructor survey and we look a little deeper and explain the survey results. Stay tuned to the Clipboard blog for a follow up post where we dive into insights the disect our findings much further! Let's start by looking at the distribution of our respondents. Straight out of the gate, we can see that there is a heavy skew towards coaches who taught CANSail 1/2 last year with the other level combined making up the other half of respondents. Interestingly, although we see this heavy skew within the levels, when you look at years of experience, it seems there is much more of an even spread. Ok, there is still a strong skew towards the intro and veteran coaches, but the distribution is much more even that when viewing levels alone. So what does this mean for our data. 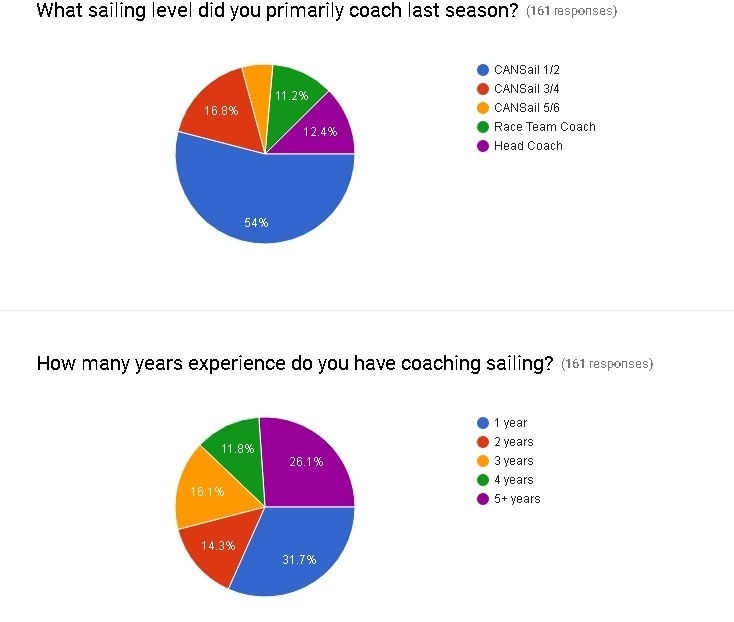 Well, it means our results may be more representative of CANSail 1/2 coaches at the beginning of their career and of coaches well into the mix of things. Another interesting finding just from looking at these distribution graphs is that we see fairly low response from CANSail 5/6 coaches. Couple reasons we can point to is that this level may be folded into a race team coach position, which may be why we see a little bit more response from them. It may also be that the coaching world generally experiences progression attrition similar to the Shaolin Temple, a wide entrance and small exit like a funnel. Essentially, we see more junior level coaches (CANSail 1/2 and 3/4) than we do senior level because as you approach the higher levels fewer candidates have the experience necessary to be successfully certified at higher levels. One more interesting thing you’ll notice is the lower response rate from year 4 coaches. There maybe a few reasons we see lower numbers from this year, but a prominent one is that year 4 marks a transitional year for coaches. After you have coached for your third year, your qualifications are due for renewal. In many cases this is both your coaching certification as well as all the prerequisites like first aids and boat rescue. This presents a choice for coaches to either recertify/upgrade their qualifications or to exit the program all together as the cost of staying current is quite high. Usually by year 4, many coaches fall into the 19 - 21 age range where following a career path becomes a priority. This graph shows us the breakdown of where most coaches lie in terms of pay. There's not much to infer here. But this is where things get really interesting from a statistical point of view. We took a look at these three sets of data (pay, experience, and level taught last year) and had our people in the lab run the numbers and we’ll be releasing an Insights report to detail the results. 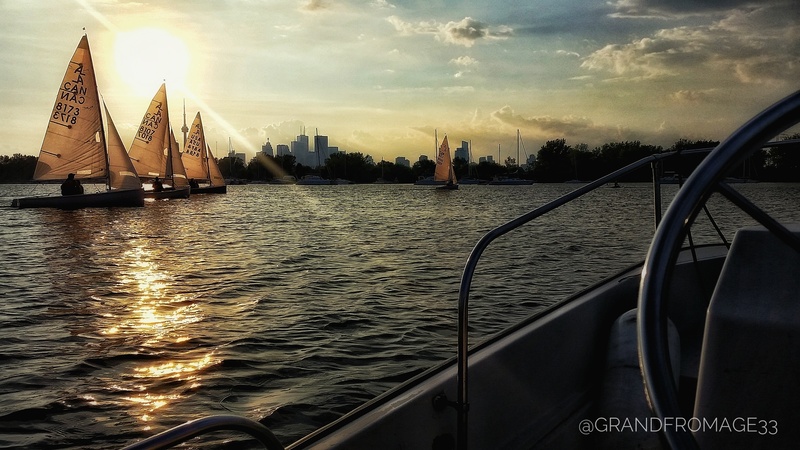 Last but not least, a big thank you to Sail Canada as one of our long standing partners! Stay tuned to The Clipboard Blog for an upcoming post and click below to download the remainder of this report.